No one ever tells you this but when you start slaving working, the days kind of fuse together and you end up disoriented by the end of each week. What did I do last Wednesday? Did I wear these jeans to that meeting? As much as you try to perk yourself up, some days just end up looking the same as the other. Hence, to keep myself sane, here I am listing down the things that caught my eye and snared my heart for each week starting...well, now. And being the creative genius that I am, I'm gonna name this "segment" What Made Your Week. #WMYW Ha. Isn't that nifty! Of course it is. Shall we start? Oh first on top of my list this week is The Grisha Trilogy by Leigh Bardugo. This series just kept me up all night reading (no surprise there). Just. One of the best books I have read thus far. Adventure, love and one super-hot, possibly evil anti-hero---just. Wow. If I were a book blogger this one takes all my five stars. Definitely a good read. 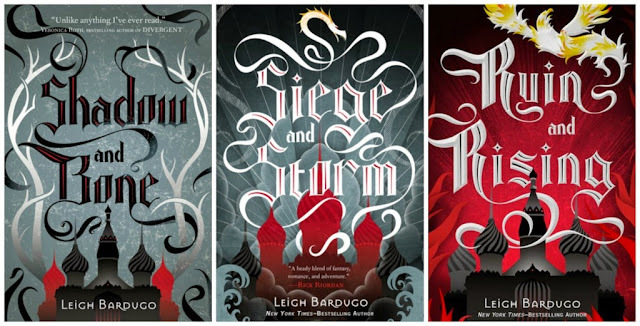 And hey, author Leigh Bardugo is coming over to town this June! I'm gonna save all my fangirling for that. Hillsong United's Zion is a journey in itself. I've been listening to it all week and it sure makes the hour-long commute more bearable. Hillsong always puts a young, refreshing vibe to God's Word through music. The album is inspired by a lot of electronica but it's also made of a lot of heart. My favorites right now are "Scandal of Grace" and the reloaded version of "Oceans". Just amazing. One other thing I've been setting my eyes on all week is this lovely First of Summer-inspired shirt by Nick Automatic. Just looking at it gives me so many feels for my favorite band Urbandub (if you're not familiar, that's the band's insigna right there). 15 years of music and it all comes down to 1 final performance with the original crew yesterday at the Ipanema Summer Sunscream. I'm not fond of parties but I love Udub so we'll see. Have you heard the acoustic session of Zion? Try to look for it.